A lawsuit filed last fall by former players and their parents against BSD and the WIAA is the final pending litigation. Former Bellevue High assistant football coach Pat Jones announced this week his litigation against the Bellevue School District is over. His defamation lawsuit was dismissed when a King County court ruled BSD isn’t “the decision-maker but rather, was the reporting party. WIAA and KingCo were the decision makers.” BSD self-reported violations in May 2016 to the Washington Interscholastic Activities Association (WIAA) and KingCo Conference. The impetus was a recruiting investigation against the football program that concluded in 2016 after a series of stories in The Seattle Times. 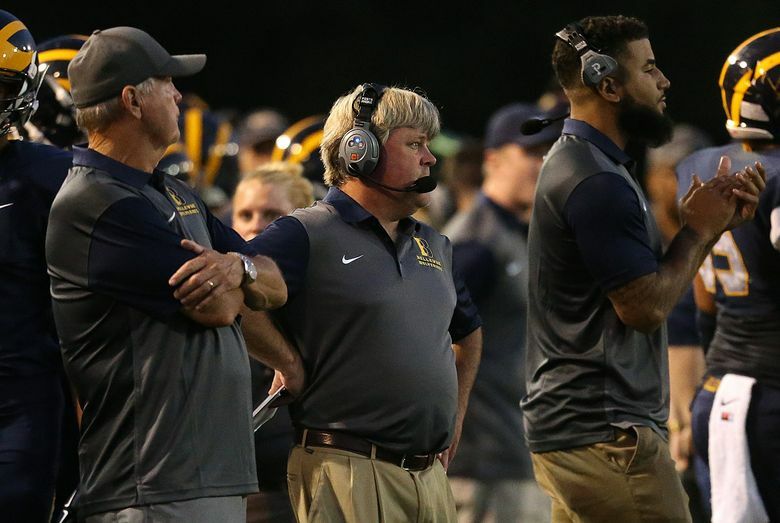 Those findings resulted in multiple sanctions against the Bellevue program and the removal of Jones and head coach Butch Goncharoff. Jones received a four-year suspension from coaching by KingCo. In January, the WIAA, SeaKing District and KingCo agreed to lift the final two years of Jones’ suspension, ending that portion of the defamation lawsuit, the WIAA said. According to the court, because BSD isn’t the “decision maker,” and claims of rule violations weren’t statements of fact, they aren’t actionable as defamation. A lawsuit filed in November 2017 by former Bellevue football players and their parents against BSD and the WIAA claiming discrimination, misconduct and negligence during the WIAA’s probe into the program is the final litigation still pending. It is slated to go to trial in October. In September 2017, the WIAA ended the program’s postseason ban after one season but stripped it of two state titles.